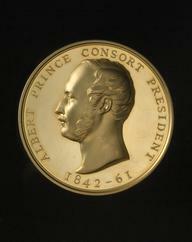 Medal for inauguration of D. Maria Pia Railway Bridge over the Douro, Portugal, 1877. 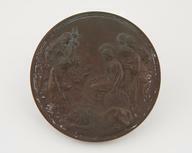 Copper; 60mm diameter, 7mm deep. 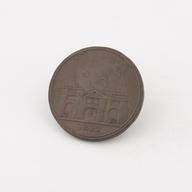 Obverse, showing bridge (by G. Eiffel & Cie); artist, Mosar? [illeg]. 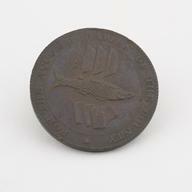 Reverse, inscriptions; De Levallois Perto de Paris.